Reach Mowing can slash areas not accessible with rear mounted slashers and is quicker and more economical than traditional methods of hand cutting and mulching, reducing personel injuries and OH&S requirements. 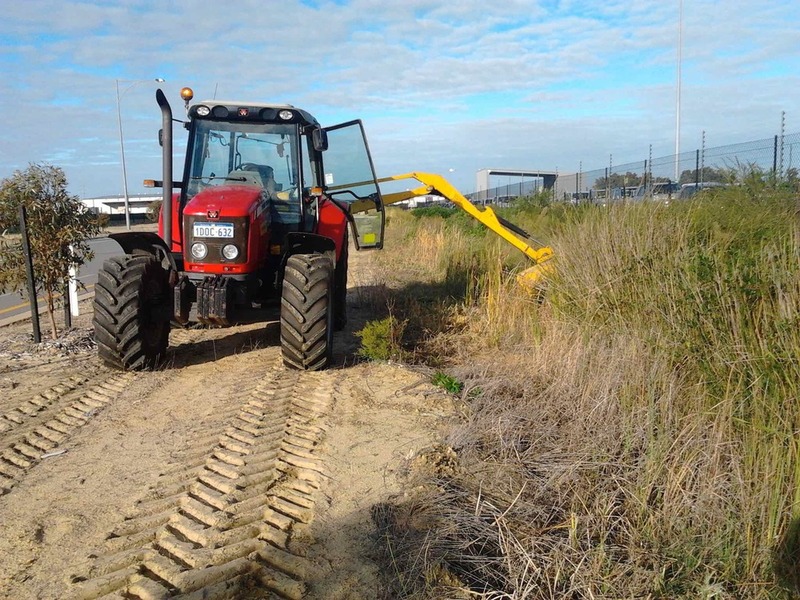 The reach mower is ideal for clearing overgrown firebreak tracks where rotary hoes and slashers cannot access as in the before and after photos shown below. Ideal for scrub and small trees and hard to get to areas. It can clear the track not only across but also above as required by firebreak regulations. The Reach Mower can trim to a vertical height of around 6m and trim the top to a horizontal height of around 5m. The flail mowing action mulches the trimmings leaving little on the ground. Reach Mowing is quicker and more economical than traditional methods of hand cutting and mulching reducing personal injuries and requirements. The Reach Mower can mow up or down embankments and over verge barriers etc where other mowers can not reach. It is safer and less labour intensive than a team of whipper snippers. The Reach Mower can slash both sides of drains where other mowers can't access. 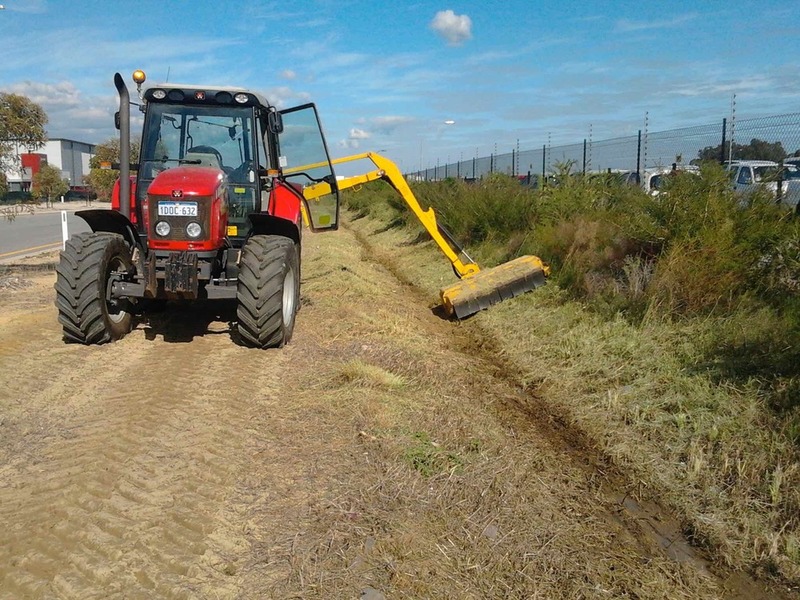 It is ideal for road verges with the ability to reach over barriers, under trees and mulching scrub and small trees.